Adam and I debate over whether this dish should be called a salad or salsa. I guess it depends on how you serve it. Either way, it is delicious and a great way to combine the many flavors of summer. 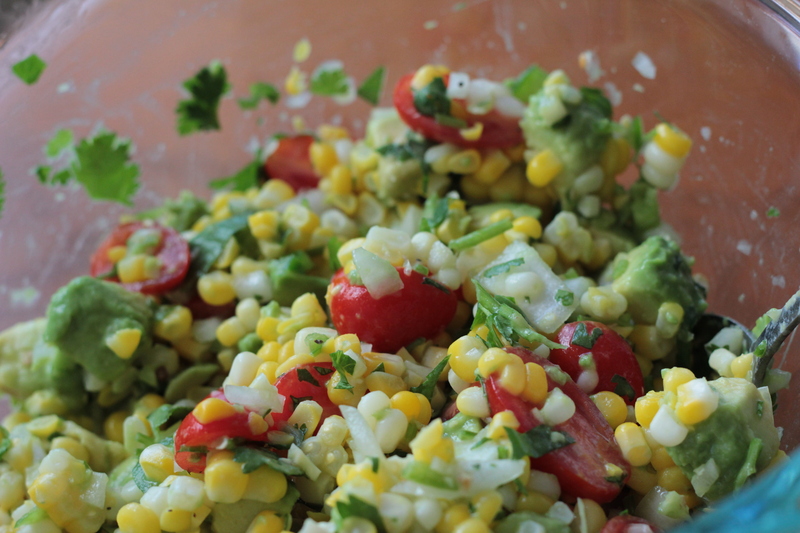 Combine the corn, tomatoes, avocado, jalepano and onion in a large glass bowl. That actually sounds a lot like a Turkish Spoon Salad, but they don’t generally have avocado.